Whether scarce or abundant, cities should celebrate their good water. Pompeii did. 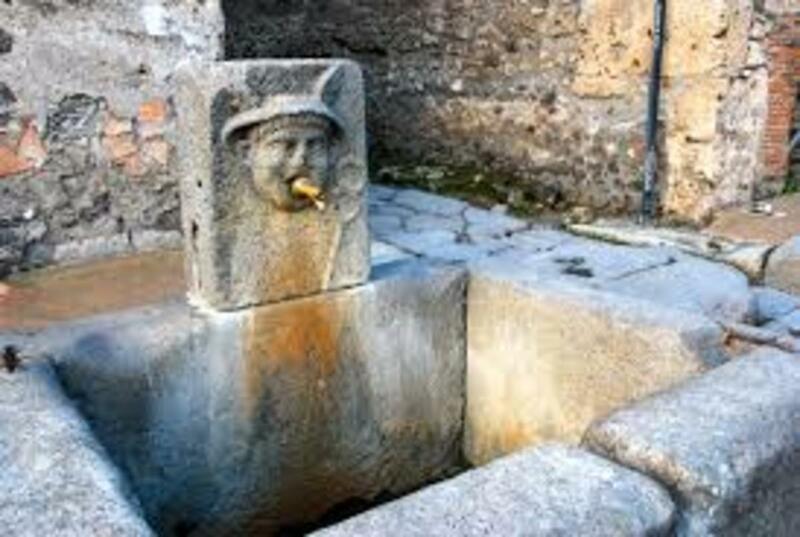 The aqueduct water was brought to neighborhood fountains that included an image of a god. The spigot crammed in Mercury’s mouth is modern. Running constantly in antiquity, they filled the basins, which made it easy to fill a carrying vessel, and the overflow washed the streets. An elaborate house or garden might have a decorative fountain, while a common upper-class atrium houses would have a cistern fed by the rain caught in the impluvium’s basin. After the Renaissance revived derelict Rome, water again began to be celebrated. Conspicuous across the Tiber is the great triumphal arch and basins by Giovanni Fontana that honor Pope Paul V’s restoration in 1612 of an ancient aqueduct. 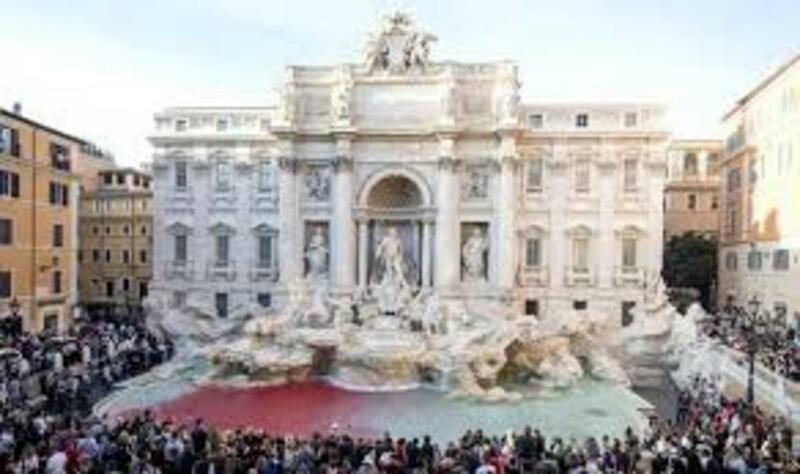 More famous, and justly so, is Nicola Salvi’s Trevi Fountain begun for Clement XII in 1732 and finished 30 years later. Ancient aqueducts had no shutoff valves, and they still don’t as they supply water to the big fountains and to the SPQR cast-iron hydrants scattered about the city. A small spout directs a stream into a drain, but tourists don’t usually know the right way to use them until they see someone use a finger the right way. Americans have done fairly well in celebrating water. Controlling it made arid California green and not just golden. 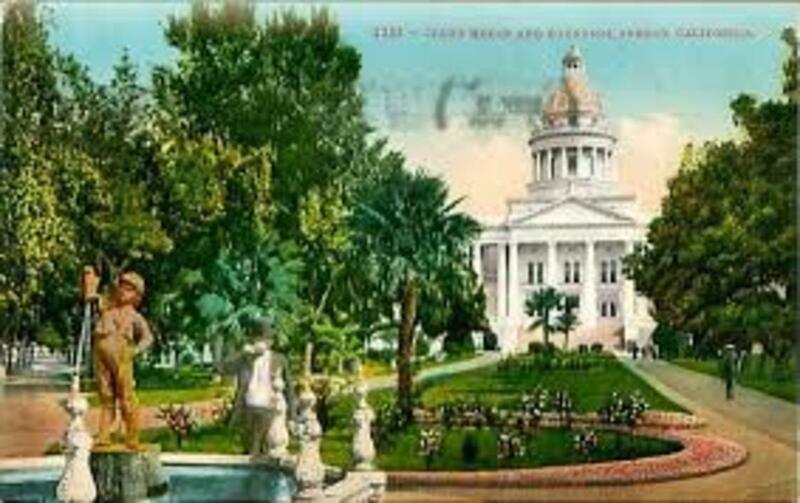 In 1895, a Central Valley Court House Square was equipped with a popular. commercially available bronze statue of a boy with one bare foot who holds up the other boot with water running out of its toe into the basin where cups are available to the thirsty. After the boy was vandalized he made the rounds to the city’s schools where we could drop pennies in a box for its restoration. 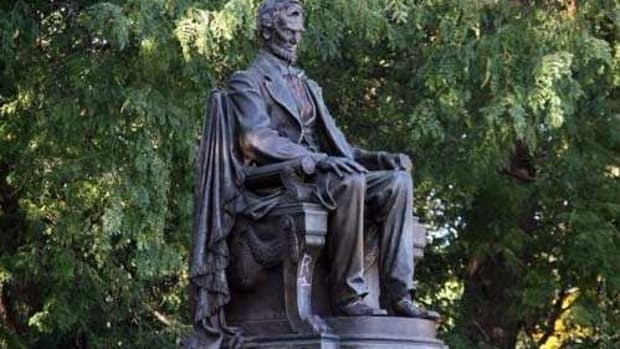 I was convinced my penny went into the restored statue. 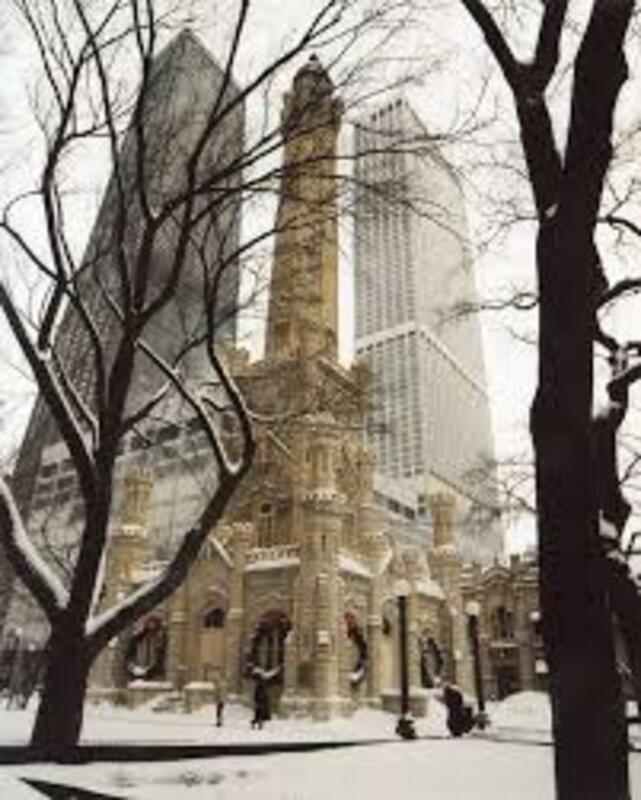 Water was also celebrated nearby in its 1891 water tower and library combination, going all the way to Chicago for its architect, George Washington Maher. A Carnegie Library replaced it in 1904; Maher’s building is now a tourist center. In another Central Valley city, a celebration does without water. Instead, a motto and 696 light bulbs in a 1914 arch across the highway does the job. Abundance of water can also be celebrated. Chicago faces one of the world’s largest bodies of fresh water, but the growing city fed pollution into it through the Chicago River while it was becoming one of the world’s busiest ports. 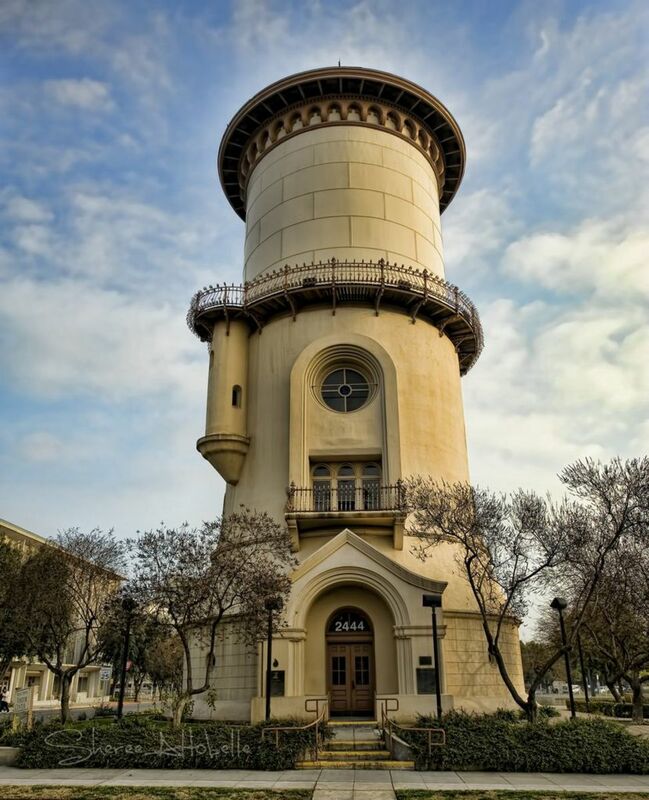 After the city assumed responsibility for supplying water, it began in 1869 to draw water from beyond the putrid water with a plant whose standpipe and pumping station by William Boyington escaped the 1871 Fire and remains among Chicago’s prized landmarks. The year 1869 also saw the initial development of Frederick Law Olmsted’s Riverside west of Chicago. 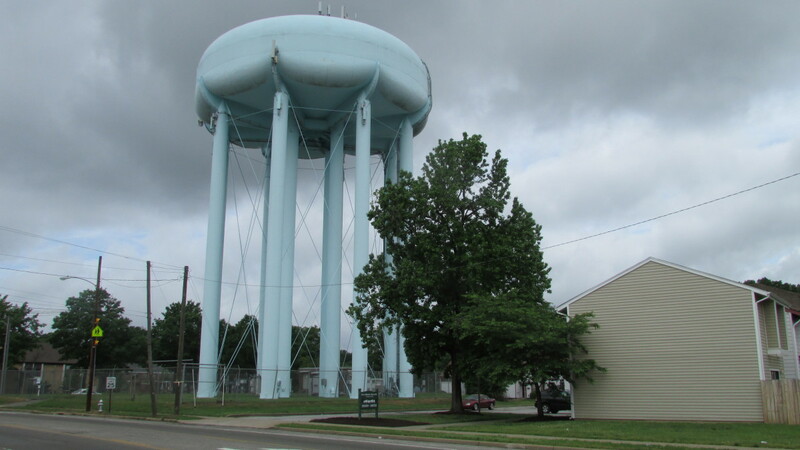 A suburban town the railroad made possible, its station and small commercial district included a well water pumping plant and water tower designed by the town’s architect, William LeBaron Jenney who, like Boyington, was also an innovative engineer. A fire in 1913 destroyed the tower’s top areas; now we see a restoration that is 20 feet taller. 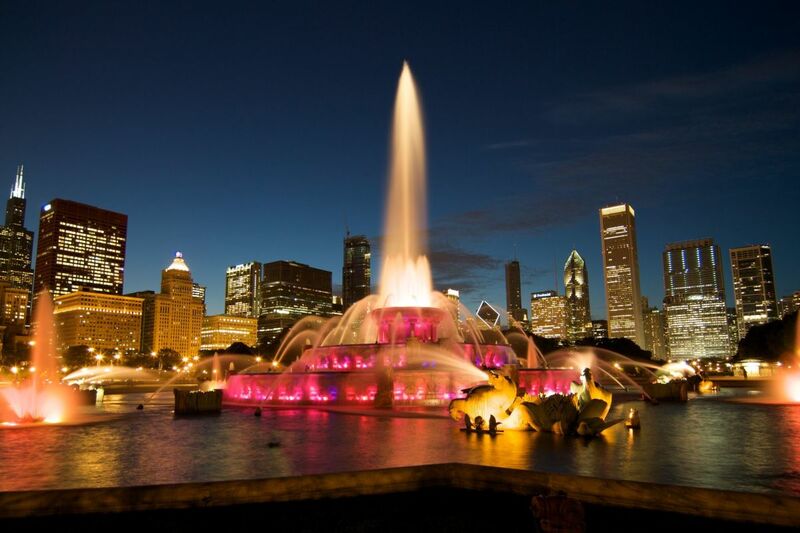 In 1927 Chicago’s Buckingham Fountain, a gift of Kate Buckingham to memorialize her brother, began its seasonal evening light and water show. 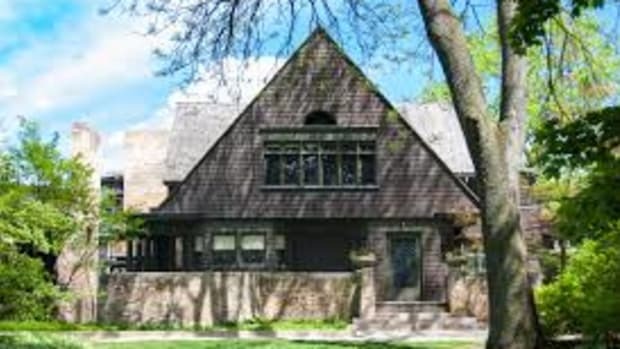 Designed by Edward Bennett, Daniel Burnham’s co-author of the 1909 Plan of Chicago, and modeled after the great fountain at Versailles, it completed the plan they envisaged for transforming the dump with fire debris and furnace ash into today’s great front yard between the lake and the city’s central business district. 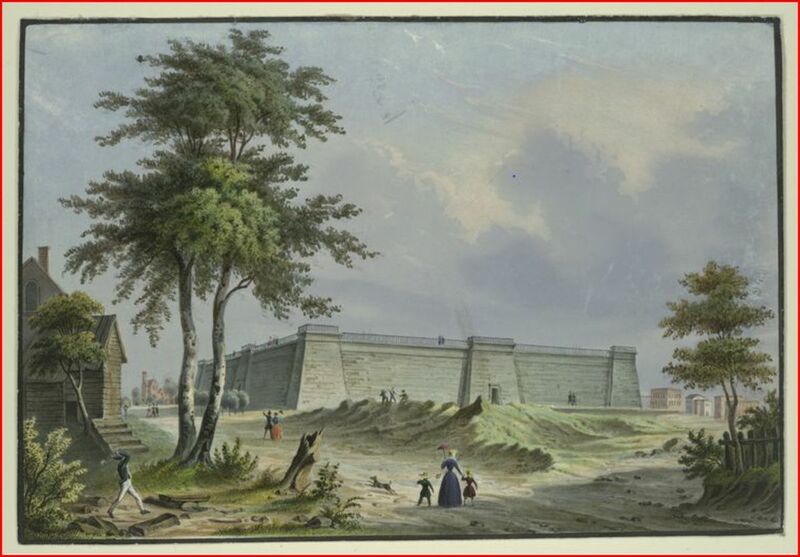 In 1842, New York honored its access of clean, abundant water with the Croton Distributing Reservoir on the block that the New York Public Library and Bryant Park now occupy. Gravity-fed by the aqueduct running more than 40 miles, its battered brick and granite walls presented a five-part composition with corner towers and central pavilions rising 50 feet and offered a popular promenade place for looking out across the growing city. Involved in the project’s architecture and engineering was James Renwick, Jr., who would later design the Smithsonian Castle in Washington and Saint Patrick’s Cathedral in his native New York City. Who has not marveled at Philadelphia’s Fairmont Water Works? Where City Hall now sits, Benjamin Henry Latrobe, another architect and engineer combination, built a pumping plant and reservoir in 1799 to supply the city with Schuylkill River water. After its problems proved insoluble the city had his apprentice Frederick Graff and John Davis in 1812-15 build a new plant on the Schuylkill’s banks. 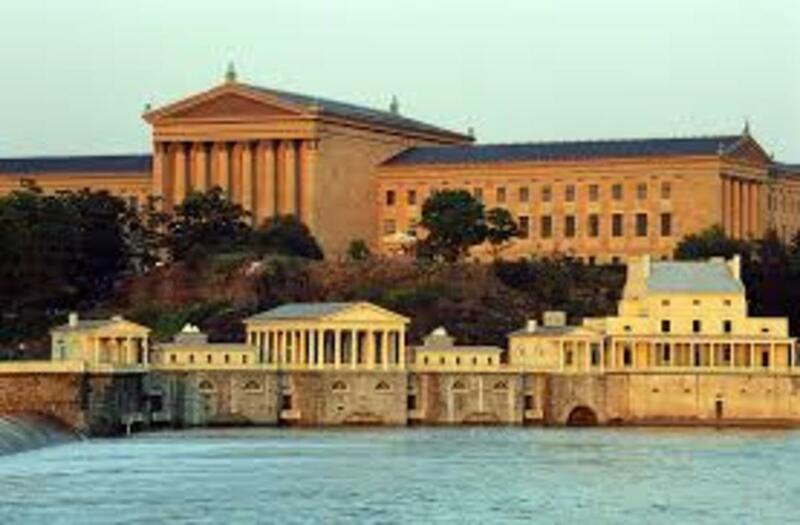 Until 1909, it used steam and later water power to pump water up to a decorative standpipe and earthen reservoir where the Philadelphia Museum of Art now sits. Stone river banks with intake arches remain, as do the buildings arranged in a five-part composition, the central one a 6x9 Doric temple, the end pavilions tetraprostyle temples, and the hyphens free-standing, lower, with pilasters defining five bays and their flanks facing the river. 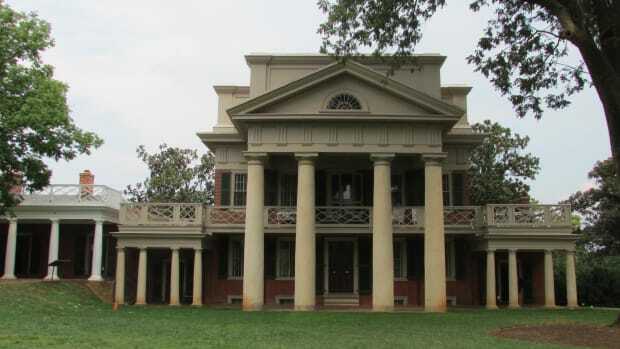 At a slight angle behind a colonnade is a larger, three-story, three-bay block with stubby wings that looks like a house facing away from the river, originally the engine house and now a restaurant. 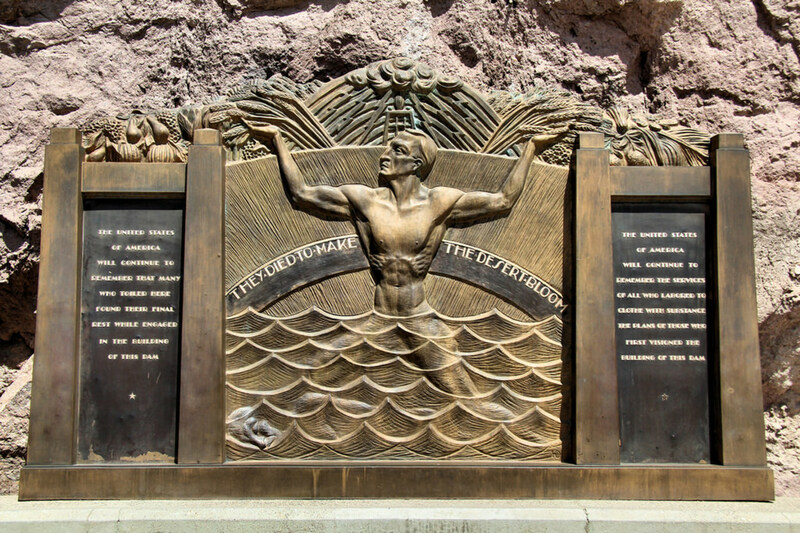 Hoover Dam built in 1931-36 is not all raw engineering but also a site for commemorative ornament. 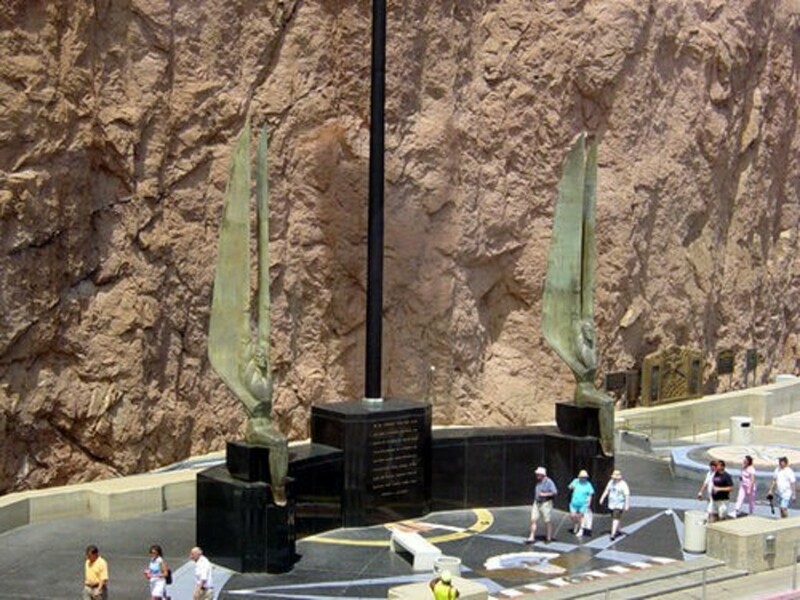 Among it the immigrant sculptor Oskar J. W. Hansen supplied sculpture flanking a flagpole above a terrazzo diagram of the heavens’ exact configuration when the President dedicated the dam. Also, his is a memorial plaque for those who died in its construction. Now it seems we have given the waterworks to the engineers and metal fabricators without architects or artists. 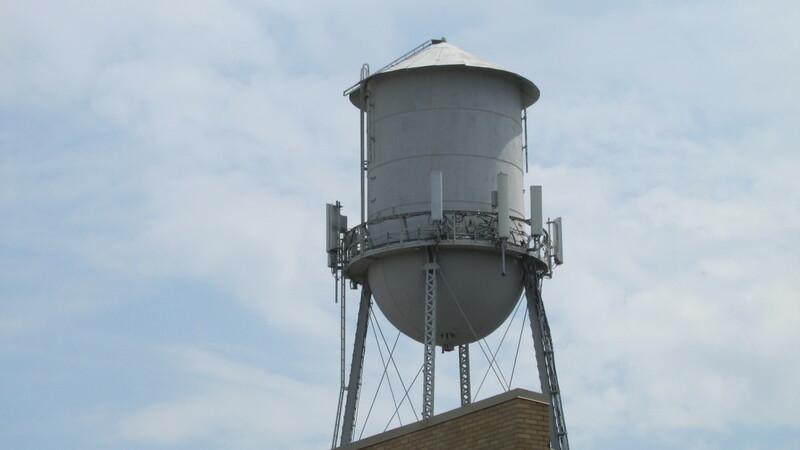 Factory and mill water towers have a not unpleasing, simple geometry, but many massive municipal water towers are ungainly even with decorative cell phone antennae topnotches. Surely we can do better.